When you list renowned hot beds of high-end/hi-tech audio equipment design and production, you undoubtedly think America, England, Japan, maybe Germany and certainly Italy. Probably not even making it to the bottom of the list would be Ho Chi Minh City, Viet Nam. Yet I'm here to tell you that Navison Audio is out to change that. I think they may just succeed. 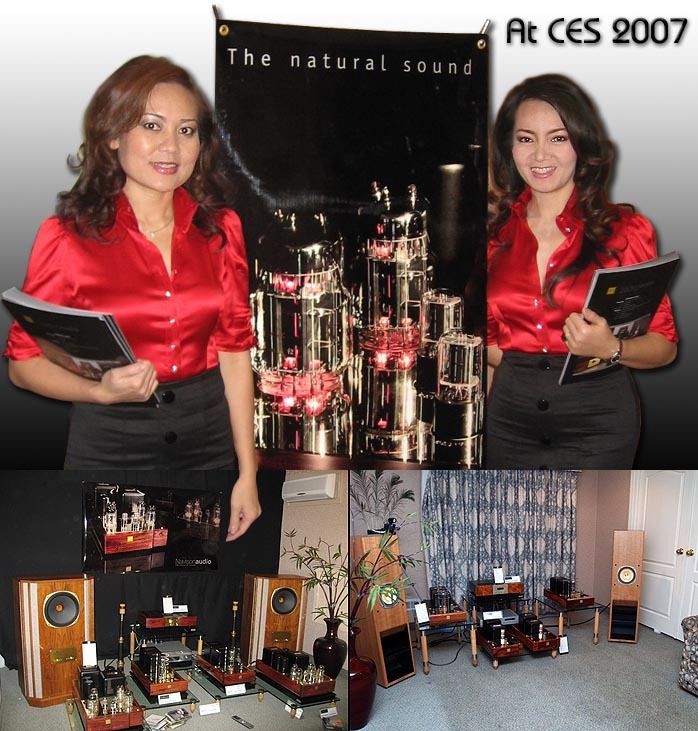 Viet Nam is where Navison Audio has been producing tube audio electronics since 2000. While they've not previously made it to the shores of the US, they've been marketing their products to the Asian market since their inception. Now their wares are planned on finally making their way into the US market. But don't shrug off the Navison Audio invasion as just another Asian imitator or wannabe. Yes, Vietnam does enjoy low-cost labor rates as does China when compared to the West. But rather than design and market their products for the lower end of the market, Navison's principals squander those labor savings on the highest quality parts available. Consider the SE-Mk I preamplifier - no knock-off imitation parts here but rather genuine Cardas gold/rhodium RCA input jacks, Nichicon filter capacitors, WBT solder, Riken resistors, Jensen capacitors and a DACT 42-position 2dB-step premium attenuator with silver contacts, proprietary power supply transformers and beautiful Barian Kingwood chassis applications. And let me tell you, the Kingwood and gold accents make most of the competition look pretty sick - including what I own. 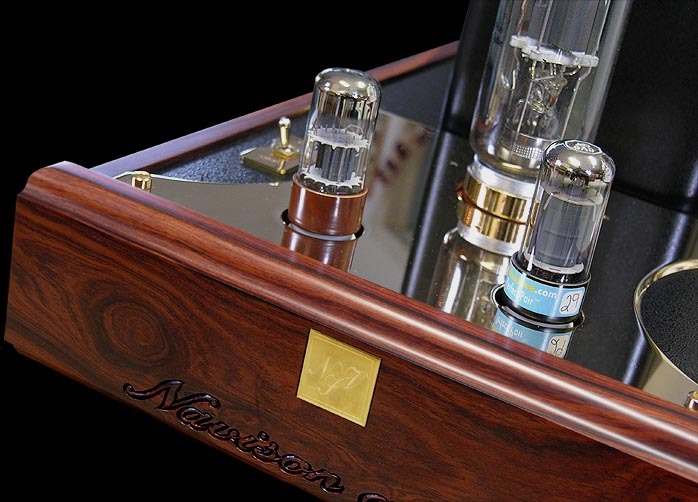 These Navison pieces ooze tube warmth before you even plug them in. It's stunningly beautiful stuff, hands-down the most gorgeous to ever grace my room. If such trivial matters concern you that is. You will have to provide some real estate though. 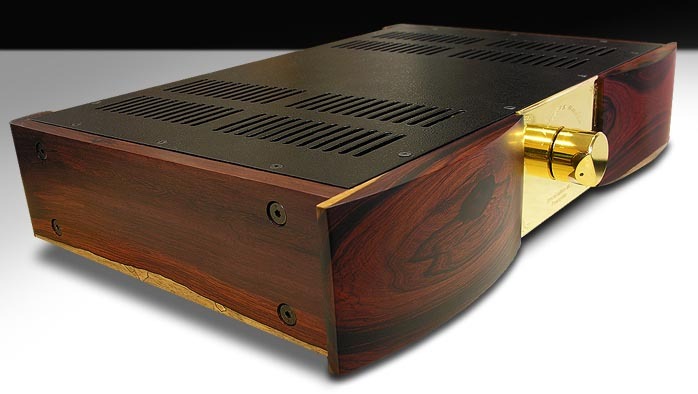 The SE-MK I preamplifier measures almost 22 inches wide and 14.5 inches deep, though it stands slightly less than 4 inches tall. It weighs a healthy 33 lbs. Noise is rated at an unweighted 80dB and the circuit inverts phase. Input impedance is approximately 50Kohm and output impedance less than 1.8 Kohm. Tube complement includes eight 6H1-EBs, a tube similar to the 6922. Power consumption is a meager 70 watts. 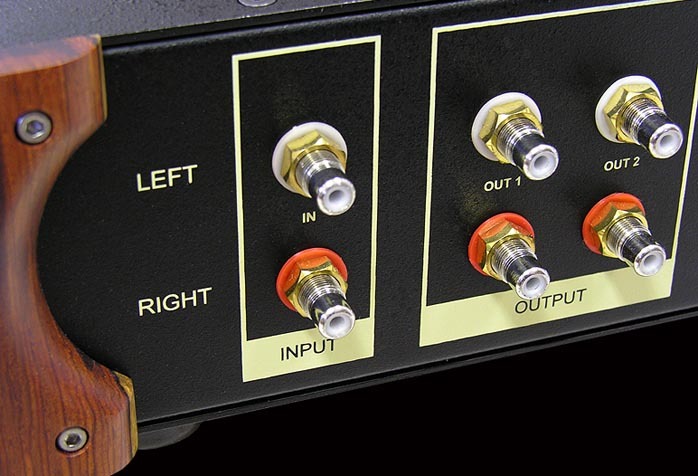 The one possible deal breaker with regard to the SE-MK I is the fact that while it provides two sets of preamp outputs, it provides only a single pair of unbalanced RCA line-level inputs, hence the lack of an input selector on the front panel. As do all Navison products, the SE-MK I arrives with a three-year limited warranty covering both labor and parts (90 days on tubes). No provision for a remote control but wait until you lay hands on the silky volume control. It's an experience you may be happy to forgo remote control for. If not, there's the SE-Mk II which, for an additional grand, adds remote volume, remote balance and remote switching between three sources. 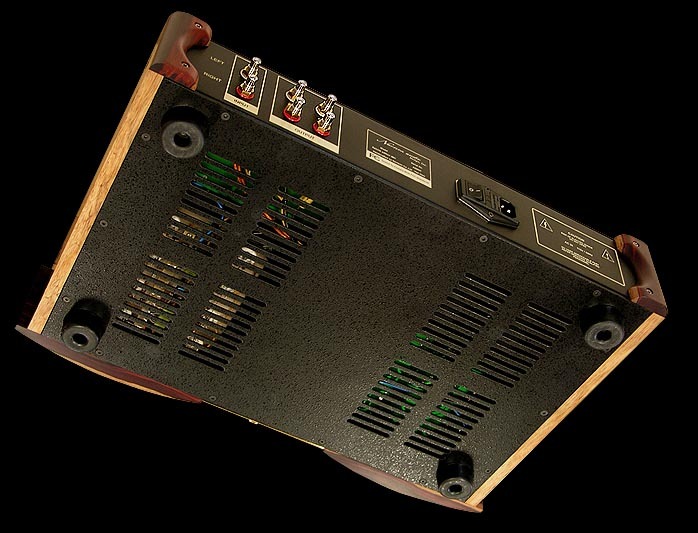 The NVS-211 mono amplifiers evidence no less attention to fanatical detail than the SE-MK I. 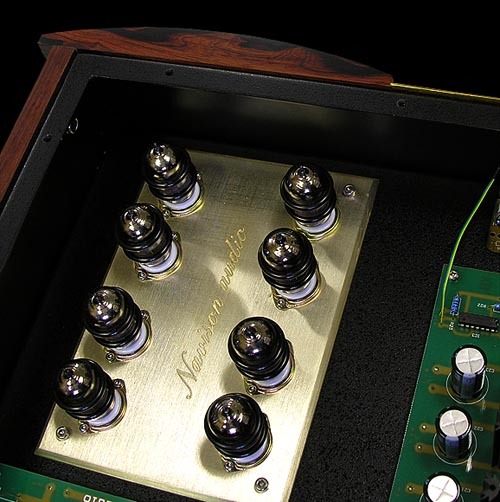 They feature very upscale Japanese Tango output transformers; point-to-point wiring; full auto biasing; more Cardas gold/rhodium RCA input jacks; Audio Note rhodium binding posts; Riken resistors; Jensen, Nichicon and Mundorf capacitors; WBT solder; and oversized power supplies. Of course, the Barian Kingwood and gold accents make the NVS-211s the perfect aesthetic compliment for the SE-MK I preamplifier. 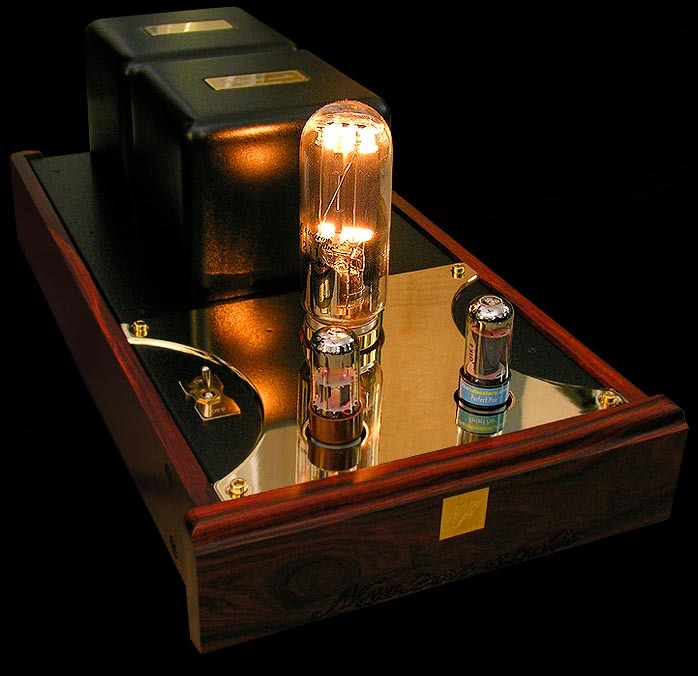 The direct-heated single-ended Class A triode amplifiers utilize a Chinese Electron 211 tube, a single NOS Tung-Sol 6VS driver and a NOS Tung-Sol 6SL7 input tube for a respectable 20 watts at 2V RMS input. Input is 100Kohms and Navison specifies a frequency response of 18Hz to 22kHz. Hum and noise are said to be greater than 80dB below full rated output and THD less than 1.5%. Measuring almost 25 inches deep by 9 inches wide and almost 9 inches tall, these monos will require some real estate as well but you wouldn't want to hide these either, trust me. 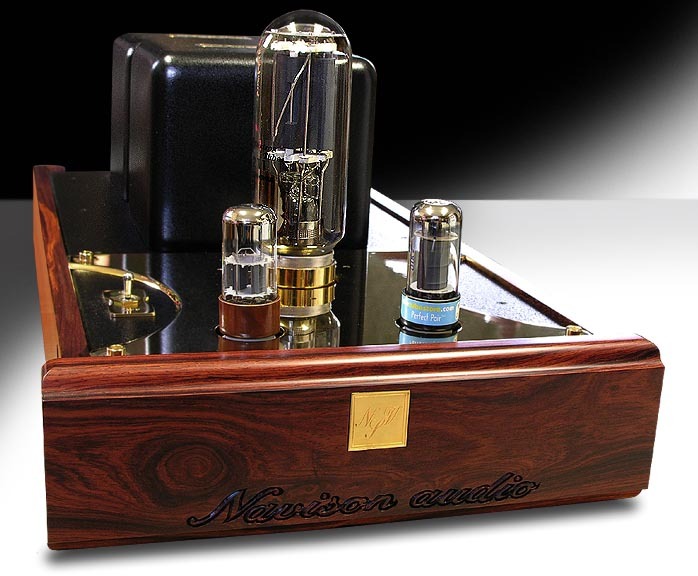 They are extraordinarily good looking and exude the same warmth and élan as does the matching preamplifier. Warm up time is said to be 10 minutes. 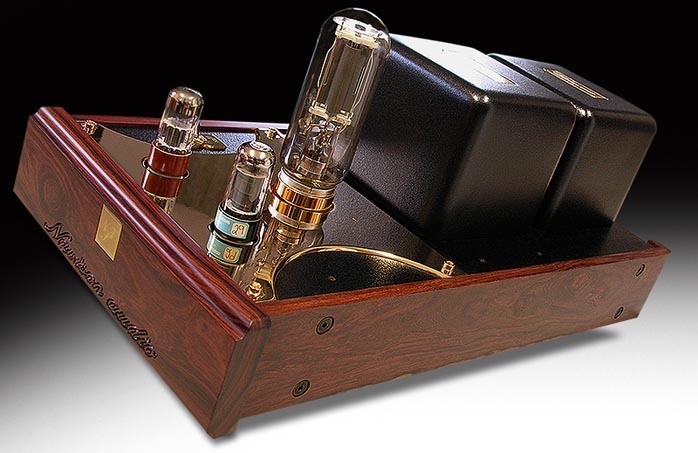 In my September 2003 review of the Art Audio Carissa amplifier, I spent a good deal of space taking about something that had come as news to me at the time. Namely that into high-efficiency speakers, an amp with relatively low output in terms of wattage can sound more powerful than a high powered solid-state amplifier if the former can deliver healthy amounts of current. Think of current as the torque that gets the engine turning at lower revolutions while watts are the measure of power available when the amplifier is running at full gallop. High efficiency speakers don't require much in the way of galloping power but they do respond well to low-end torque. 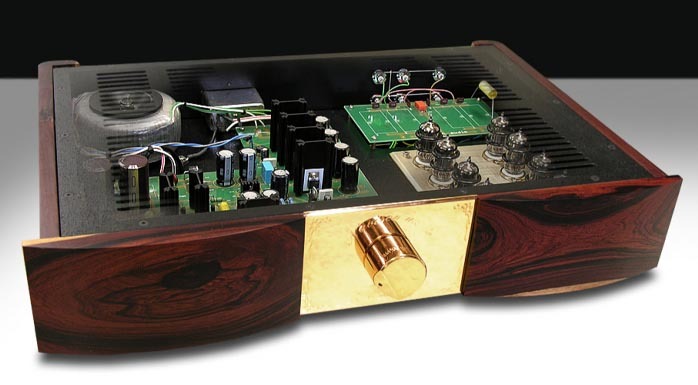 With its 845 output tube, the Carissa was such an amplifier. The 845 tube differs from most triodes in that it requires very high plate voltages, typically in the 800 to 1200VDC range. This happens to be about twice the required voltage of a 300B for instance. This is why you'll sometimes see lofty triodes like 300Bs in the driver stage of 845 and 211 power amplifiers. However, Art Audio kept plate voltage on the low side (800 volts) and in doing so doubled available current at the output. While one need not look hard for 845 amplifiers with outputs of 30 watts or greater, Art Audio decided to limit the Carissa's output to 16 watts and allow it an added dose of current delivery when compared to the competition. This is why, for my money, the Carissa is one of the gutsiest valve amplifiers around and why it sounds so far more powerful than its 16-watt rating would indicate. It's also why it remains one of my favorite amplifiers to date. check on the competition will once again round up the usual plethora of amplifiers that utilize the 211 for far higher output power. Though the more successful designs all do seem to use the tube's ultimate power potential far more conservatively. With the Navisons, are we looking at yet another decision to limit flat-out running speeds to maximize brute low-end force instead? At this point I don't know anything about the design parameters involved -- and I'm not sure how much Navison wants to divulge -- but it would seem to be the case. With only a few days of listening to the Navisons into my 88dB Tidal Piano loudspeakers under my belt, I was impressed with the amps' apparent muscle. As I had hoped, they sound like far more powerful amplifiers than their paper specs give away. Into more appropriately efficient loudspeakers such as my 96dB efficient Hørning Perikles loudspeakers, would they continue to impress? Would they hold their own in the company of the Art Audio Carissa and the push-pull 300B Canary CA-330 monos? In several respects, the NVS-211 amplifiers continued to impress in the listening room over the next couple of months. With the 96dB efficient Hørning Perikles loudspeakers, the 20-watt monos certainly never left me wanting for power. Macrodynamic outbursts exploded from the Perikles as if they had limitless reserves of power at their disposal. In the bass, the 211s were more than worthy companions to the Perikles as well and they were also on par with my own Canary CA-330s. Those are exemplary in their bass neutrality, definition and objective linearity as long as consideration is given to their meager 26-watt output. The Navisons exceeded my Canarys when it came to lack of noise. When used with my Bel Canto Pre2p preamplifier or Navison's own SE-MKI preamp, only the slightest wisp of noise was audible from the Perikles even with my ear right up to the speakers. From the listening chair, the system was admirably silent - dead silent in fact. This lack of noise manifested itself as an extremely quiet and black canvas from which the music emerged. This is where the Navison products really excel. Images were solidly painted upon that canvas and the 211s produced a deep soundstage. However, soundstage width and height were less well defined and significantly less airy that what I'm accustomed to. The single most prominent aspect of the 211s' personality was their sweet, smooth and glare-fee presentation. There's no jagged edge to be found anywhere. If, after the addition of the NVS-211s, your system sounds bright, then you have serious issues elsewhere. Eric Johnson's Ah Via Musicom [Capitol CDP 7 90517 2] is a bright disc. I know because it's sounded so on many other systems and amplifiers. But were it a new and only disc I'd brought with me on a Navison audition, I never would have had a clue. In most ways, the disc was completely palatable over the 211s. On other well-recorded discs such as Neil Young's Harvest Moon [Reprise 945057-2], which had sounded so wonderful when auditioned during my just-completed review of the Underwood Level-2 modified Bel Canto e.One Reference 1000 amps, the final outcome was mildly disappointing. The Navisons don't create as big and airy a soundstage as either my Canarys or the modified Bel Cantos. In what was to become a common theme with the Navisons, their smoothing over of microdynamics resulted in a presentation with significantly less incisive precision and a blunting of all transients. In short, the music sounded less vivacious and more distant than it should have. That transparent immediacy SETs are most known for was largely lacking with the 211s - and they weren't measuring up to the solid-state Bel Cantos either. 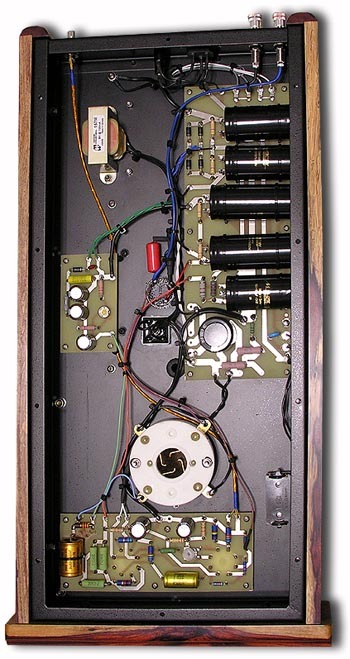 Anybody familiar with the Lowther driver can imagine the prominent sonic signature of the Perikles speaker. While not bright, they are hardly reticent and though the noted Lowther shout from an upper midrange peak is completely missing, there nevertheless is a gentle rise throughout the midrange. On paper, the Perikles should have been a terrific match for the NVS-211s but in practice, the 211s were too much medicine. When I tried the Navisons on the Hyperion HPS 368s, a speaker with a much more laid-back personality than the Hørnings, it was as though the speakers had been sedated by a powerful downer. On paper, the 211s' twenty watts should have pushed the 90dB Hyperions as long as ultimate SPLs were kept to within reasonable levels. The 211s never sounded anemic with the Perikles after all. And while I don't believe I ever approached the amplifiers' power limits, the Hyperions sounded nonetheless utterly lethargic. The music had no life, no drama, no microdynamic spark. What we're talking about with the Navison/Hyperion combination is just a really poor matching of personalities. The Hyperions are very laid-back, smooth and refined speakers that are well suited to those who find most modern high-end speakers too bright and edgy. The reticent Navisons plus the relatively restrained Hyperions resulted in a complete lack of the effervescence that usually brings music to life. So what then would be the perfect match for the Navison monos? Well, some find Thiels a little forward for their tastes. Except for the fact that you'd never drive a pair of Thiels with a 20-watt tube amplifier, they may in fact be better suited for each other. Ditto for any number of other speakers I could name. But in the end, the Navisons just don't really have the juice to push many of these with impunity. As I racked my brain, I couldn't think of many highly efficient speakers significantly more forward than my own Hørning Perikles to react well with the 211s. Perhaps the Third Rethm loudspeaker would if it were still made. But then, the 98dB Thirds would require rather less than the 211s' 20 watts and could benefit from less powerful yet more musically discerning tubes such as the 300B or numerous others. In short, not only was I having a problem finding a proper mate for the 211s in house, I was having a hard time thinking of one, period. 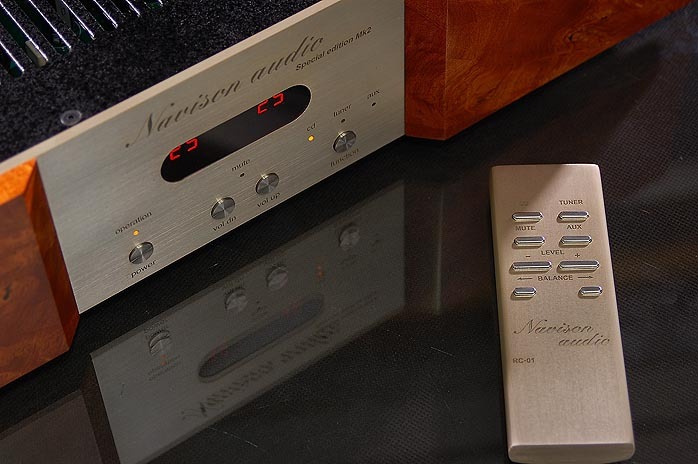 The Navison SE-MKI preamplifier was cut from the same cloth. But tonally, I found its voicing much less problematic and suitable for mating with a great deal of today's amplifiers and speakers. Again, I'm thinking about those who consider many of today's popular speakers too bright. My friend Kevin is one of those. He requires a much more laid-back, much less overtly incisive behavior from his speakers. He'd be a likely candidate for the SE-MKI preamplifier with some of his own amplifiers. I did enjoy the SE-MKI preamp greatly with my own Canary amps and Hørning Perikles speakers. As I noted earlier, the Canarys are just a little brighter than completely neutral and so are the Hørnings. Throw in the slight reticence of the SE-MKI and the system really sang. One of the discs I reached for was the DMP Big Band's Carved In Stone [DMP CD-512]. I wanted to hear the aforementioned effects on all that brass. As expected, with any power amplifier available to me other than Navison's own, the disc was a lot of fun. This beautifully alive recording was brimming with emotion and brass. As they say, there's a fine line between pleasure and pain. To keep it real, so much brass must come across almost uncomfortably close to - well, uncomfortable. If the timbres and dynamics are right and you're listening at anything close to realistic volumes, the CD should come very close to fatiguing. It's not something you'll want to do to your ears for extended periods of time. The SE-MKI/Canary CA-330/Perikles trio walked the walk and talked the talk on this CD. It sounded marvelously alive and just brash enough to sound like real brass but it never stepped over the line. Dynamically speaking, the combo made this CD all that it could be on both the micro and macro levels. All the elements that make hifi great were there as well. A big airy soundstage and razor-sharp definition and outlines brought it all home. Speaking of alive, Carl Orff's Carmina Burana [RCA Red Seal 09026-61673-2] was reproduced brilliantly. So much musically important detail was retrieved from the wall of choral singers for instance. Rather than blurring together all these voices in a giant mass, the system with the SE-MKI in the conductor's chair did a beautiful job of sorting it all out. A great deal of the emotion with this piece is expressed with its unrestrained dynamics. Contrasts of light and dark and good and bad are routinely riding on the dynamic contrasts of the music and I've never head this done better than on that day. Unfortunately, it wasn't all roses for the SE-MKI preamp. First, as already noted, this preamplifier accepts one and only one input. You also forego remote control and as good as its performance is, I can't say that it took me places that I haven't already been more full-featured preamps in the same price range. It's a solid performer no doubt. But it comes in competition with not only some great sounding preamps but competitors which will have multiple inputs and at least rudimentary remote functionality. Most of them will fit on most shelves better than the 22-inch wide Navison to boot. To be fair, if beautiful wood lights your fire, the Navison gear is in its own league. That will be worth a lot to at least a few and I don't blame you one wit if that happens to be you. My personal reviewing philosophy has always been to try and avoid playing judge, jury and executioner. I believe that if one describes the sound of a component, it will find its own audience. The problem I'm having today is figuring out who the ideal audience for the NVS-211 amplifiers is. I do believe there's some fine design work a hand. Their muscular nature comes across as something you don't hear every day and their vanishingly low noise floor indicates top quality parts and execution. Plus the fit and finish are simply superb. It's just the voicing I find somewhat peculiar. I have a hard time envisioning the type of system with which these monos will achieve synergy. When I look at products from other American companies such as Art Audio, maker of my own 845 Carissa SET that retails for significantly less than the NVS-211s, I have to question the Vietnamese amps a bit. The SE-MKI preamplifier is a fine piece that suffers from its own idiosyncrasies including a volume control that's fully closed at 3:00. The piece is oversized and won't fit into many standard-width racks yet it deserves to be displayed because it really is a great looking component. There's the single input which will put it out of commission for some. Price too is an issue because of the lack of features. In spite of its solid performance, the SE-MKI may be undercut by preamps such as my own Bel Canto Pre2p which costs the same but adds remote control, a built-in phono stage and multiple inputs to make it more attractive to many buyers. Navison has done too many things right with both the NVS-211 and SE-MKI to dismiss this maker as a player. They could have a bright future. They obviously know a few things about component design and I also understand that they're enjoying success in the Asian market. 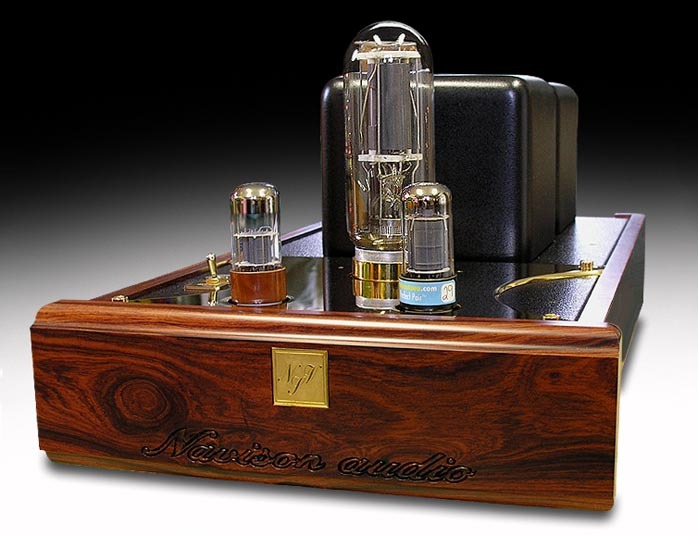 At present, a little rethink may be in order for the North American market though where the competition is fierce, features rampant and premium tube performance widespread from companies like Art Audio, Audio Research, BAT, Cary, Conrad Johnson, Manley Labs, Rogue Audio and VTL. 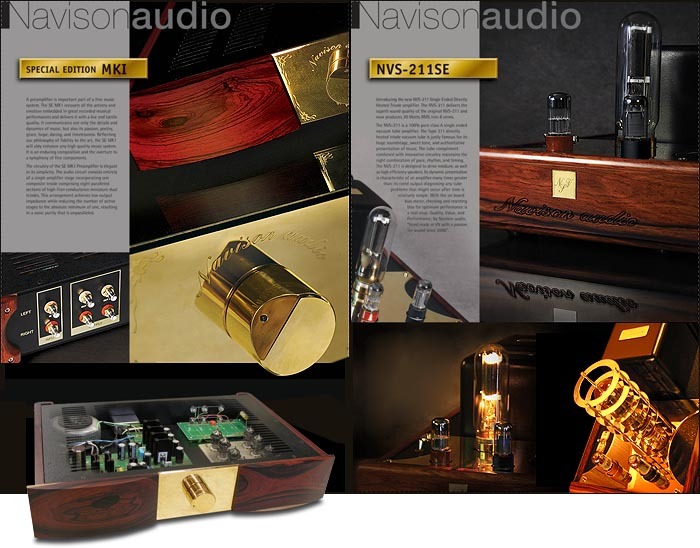 With a little change in voicing of the amps in particular, Navison Audio could become one of the majors if they play their cards right. I hope so anyway.